Featured Product – Variety Tray – Perfectly Nuts! Do you love Cinnamon Roasted Almonds, Sunflower Seeds and Pecans? Can’t decide which is your favorite? Try our 1.5 pou nd 3 Compartment Variety tray. This delicious item is the perfect way to try all 3 varieties! It has a full half pound each of our most popular cinnamon roasted products! 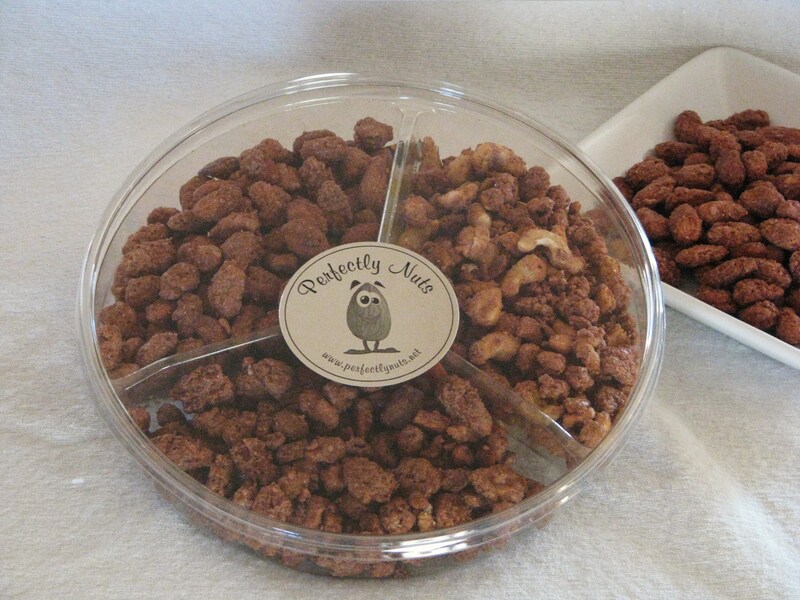 It is a great item to enjoy by yourself as a snack, share with friends or to give as a gift. Excellent idea for teachers, customers, Boss’s Day and more! We have decorative ribbons specially available for Christmas and Valentines Day. As always our product is roasted in water, cinnamon, sugar and vanilla. No added oils or artificial ingredients. This makes them 100% All Natural and Gluten Free.